Hey guys, I'm a Cape Town based Editor and Animator. My passion for storytelling lead me to study Film Writing and Directing where I honed my self-taught editing and animation skills. I'm experienced in both large and small scale projects and have reliable time management skills. I will always go the extra mile to create the best version possible. 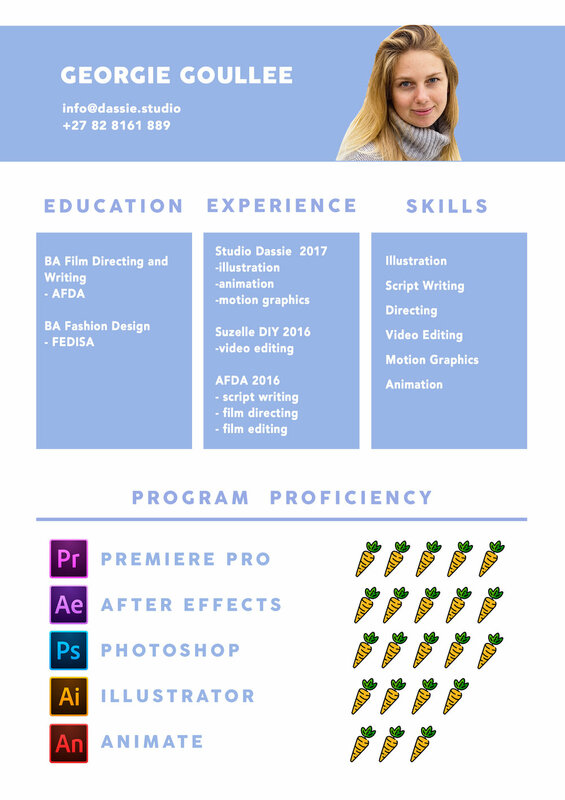 Below you will find my showreel, an animated logo I created for your wonderful brand and my CV. Give me a shout at info@dassie.studio if you would like any further info.